Part 20 of 31 in our NHL previews where Ballantyne, Waind and I rank each NHL team 1 through 31 and give you an outlook on their season. Starting from the worst, we’ll be giving you the reasons why we ranked each team where we did. Like many teams that make a coaching change midseason, the Blues played like two different teams last season. After starting the year with a 24-21-5 record, St. Louis fired head coach Ken Hitchcock, who had been with the team since 2011. 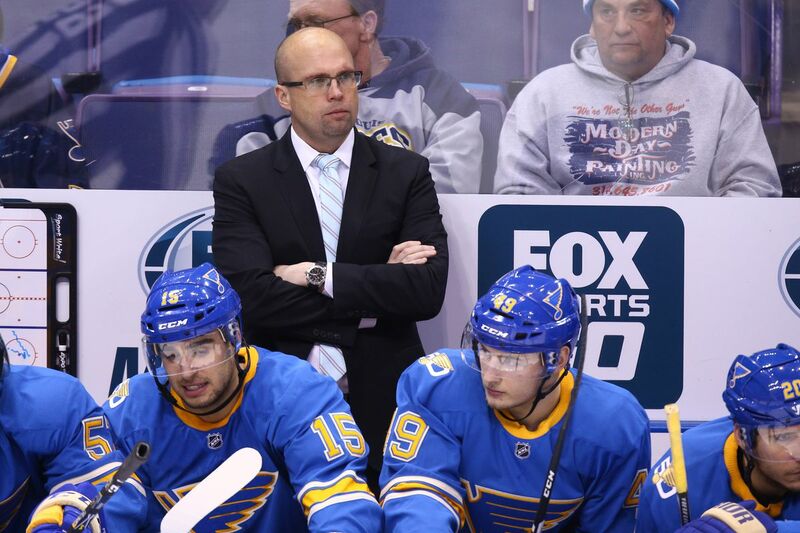 To replace him, they promoted assistant coach and former Minnesota Wild head coach Mike Yeo. With the coaching change, the Blues went on the finish the year on a 22-8-2 tear. After knocking out the Wild in the first round, the Blues were knocked out by the Predators in 6 games in the second round. As per usual, the Blues were lead offensively by Russian superstar Vladimir Tarasenko and his 75 points (39 G, 36 A). The NHL 17 cover athlete is not only the face of the Blues, but also now one of the biggest names in the NHL. After him, the Blues scoring was carried by Jaden Schwartz, Alex Steen, and defenseman Alex Pietrangelo. David Perron had a quietly productive 46 point season, but was taken by Vegas in the Expansion Draft this past summer. The Blues offseason involved a few trades, sending Reeves to Pittsburgh in return for Sundqvist, and Lehtera to Philly for Schenn. But other than that, the Blues are heading into this season with a very similar roster to what they had last year. Schenn is a nice addition to the team, and although listed as their second line centre right now, he could find himself playing some first line minutes if Statsny slumps or gets injured which are both very real possibilities. His 55 points on the Flyers last season would’ve tied him with Schwartz for the second highest total on the Blues. An issue for the Blues is that they still haven’t replaced the loss of Shattenkirk from last season. 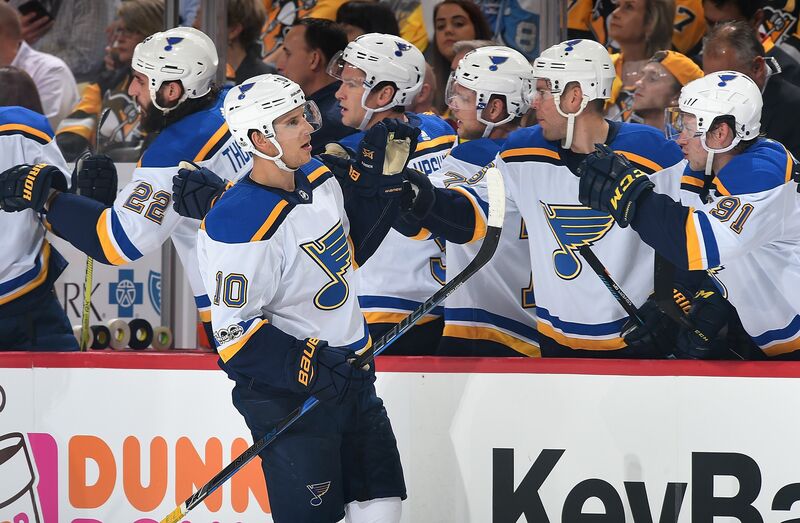 After trading him to Washington, the Blues relied on Pietrangelo and Parayko to play more minutes, but the loss of Shattenkirk’s offensive output is something that still hasn’t been made up for. Not necessarily an offseason move, but the loss of Robby Fabbri to a torn ACL is a big loss to their secondary scoring. The Blues are lucky to have one of the best goalscorers in the NHL leading their offense. The 25 year old has put up 37, 40 and 39 goals in his last three seasons and has become by far the most dangerous player on St. Louis. Dynamic at both even strength and on the man advantage, at times it seems like Tarasenko is the only option the Blues have when it comes to scoring. It was clear that there’s no NHL Cover Curse the same way that the Madden Curse seems to find it’s cover athlete every year, as Tarasenko put up his most productive season of his career during the 2016-17 season. His 39 goal, 36 assist season placed him atop of team scoring with 75, first on the Blues by 20 points. That also placed him 10th in league scoring, ahead of names like Evgeni Malkin, Tyler Seguin, and Alex Ovechkin to name a few. A noticeable strength of the Blues last year was their success on both the powerplay and penalty kill. The one question heading into this season is if they’ll still be so successful without Kevin Shattenkirk quarterbacking the powerplay. Obviously, that expectation will be put on Pietrangelo to step up and fill that role, and with 19 powerplay points last season it’s clear that he’s capable of it. Obviously the loss of Shattenkirk is going to hurt, but starting every man advantage with a this lineup is something that could make every other team get a little nervous. The Blues also had one of the most successful penalty kills last year, killing off 223 of 263 penalties last season. Again, it was Pietranagelo who anchored this penalty kill, averaging 3:01 shorthanded time on ice per game. He leads the Blues in this category, but also ranked 10th in the NHL in shorthanded time last season. It’s clear that with Shattenkirk gone, the Blues will rely on Pietrangelo to do just about everything for them this season. The Blues are down a couple of important forwards to start this season after the injury bug hit the team. 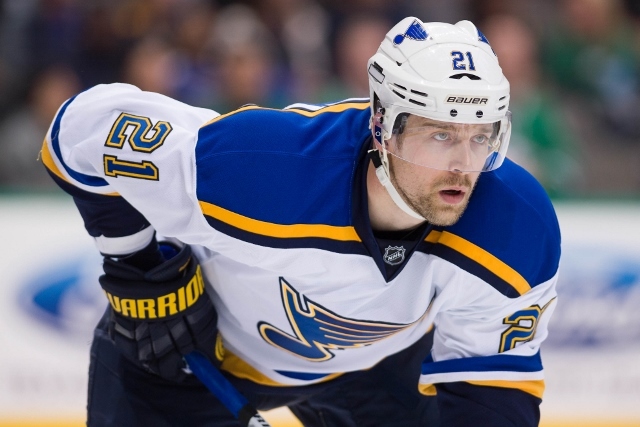 First, Patrik Berglund is still recovering from an offseason shoulder surgery after he hurt his shoulder during a workout. This created a hole down the middle, with newly acquired Oskar Sundqvist now on the 4th line while Barbashev is on the 3rd. Brayden Schenn is an improvement over Lehtera on the second line, but it doesn’t fill the gap replaced by injury. While Berglund is expected to be back this season, the Blues aren’t so lucky with Robby Fabbri. After tearing his ACL in February of last season, Fabbri was set to return to the lineup this season. Unfortunately, after playing in a preseason game it was determined that he had torn that same ACL once again. The Blues will be without him for the entire season, including playoffs. Fabbri was fairly productive last season, with 29 points in 51 games last season, and was a good option on the second powerplay unit. The Blues are in a position where many of their top prospects are ready to make the jump to the NHL, if they haven’t already done so. Barbashev and Sundvist have been thrown into the lineup to fill some holes created by injury, and defensemen Jake Walman and Jordan Schmaltz are ready to prove they belong in the NHL if they’re given a chance to play. Top prospect Tage Thompson has put together two solid seasons at University of Connecticut, scoring 64 points in 70 career games. In the 2017 NHL Draft, the Blues took Robert Thomas 20th overall from the London Knights. Thomas has showed he has a knack for finding his teammates, evident by his 50 assists last year. Thompson finished the season with 66 points in 66 games with London, and then added another 12 in 14 games in the playoffs. Just imagine a playmaker with his talent on the same line as Tarasenko. The Blues are entering their first full season with Mike Yeo as head coach and are looking to pick up where they left off last season. Being without Shattenkirk, Berglund, Fabbri and Perron will take some time to adjust to, but the Blues core is still relatively intact. The Blues have been a strong team for the last few years, and with that group still there it’s likely that the Blues are set for another strong season this year. It seems like as long as Tarasenko and Pietrangelo are there that the Blues are a pretty safe be to find themselves in a playoff spot come April.